Since antiquity, Epicurus’ thought has been compared to a powerful drug able to cure the pains of the soul that have always tormented man preventing him from living a peaceful existence: but we know that the Greek term pharmakon can be interpreted in its two opposite meanings of medicine and poison; and indeed, the same duplicity animates Epicurus’ philosophy which, by acting as a medicine for the human soul, also has the effect of a poison, destroying from within, philosophy traditionally conceived as a disinterested contemplation of truth. 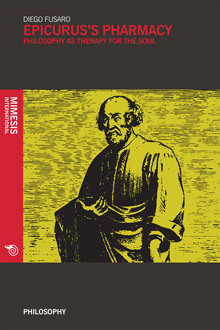 The philosophical revolution undertaken by Epicurus as a fracture with respect to all the previous tradition, from Thales to Aristotle, coincides with an inversion of the traditional relation between man and cosmos, between theory and practice: the classic question “what is reality made of?” is replaced by the Epicurean question that is at the basis of his philosophical anthropocentrism: “how must reality be made and how should one understand it in order to be happy?”. Each specific articulation of Epicurean philosophy is subordinate to the task of achieving a happy existence that is in no way inferior to any of the divine realities. Diego Fusaro is an attentive scholar of the philosophy of history and the structures of historical temporality, with particular interest for the thought of Fichte, Hegel, Marx, Gentile and Gramsci, as well as for German “conceptual history”. He recently published Europe and Capitalism. Regaining the Future. He is also the editor of the internet project “La filosofia e i suoi eroi” (www.filosofico.net).